SmartsysSoft Business Card Maker help you design and print professional-looking business cards ease. With which, you can create your own one or double-sided, horizontally or vertically aligned business cards using text, your own logo, artwork and shadows. It comes with a lot of business card templates and hundreds of backgrounds and symbols that can be used to build your cards easily and quickly. SmartsysSoft Business Card maker is also professional quality printing software. You can get very high quality printed cards when designs translate well into printing. It supports to print on any standard business card papers from Avery, DECAdry, Sigel, Formtec, and Herma directly. Also it is allowed to save your design as a high quality image with BMP, JPEG, GIF, PNG, TIFF format for outside quality printing. 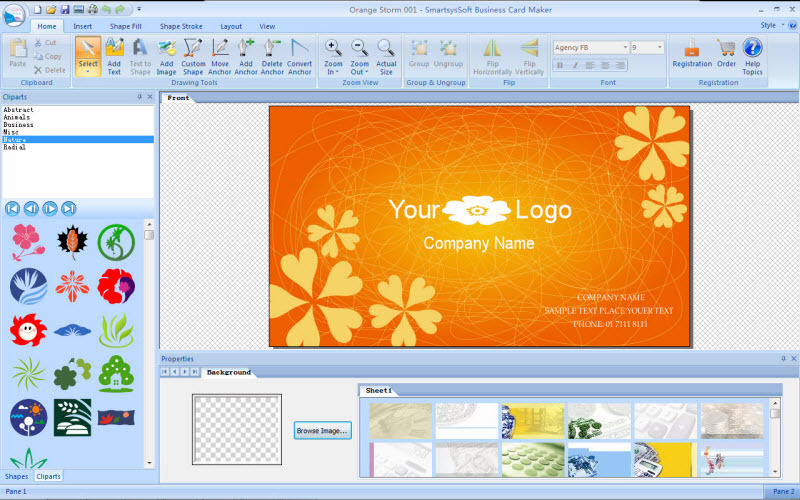 SmartsysSoft Business Card maker works like a great vector graphics editor program. 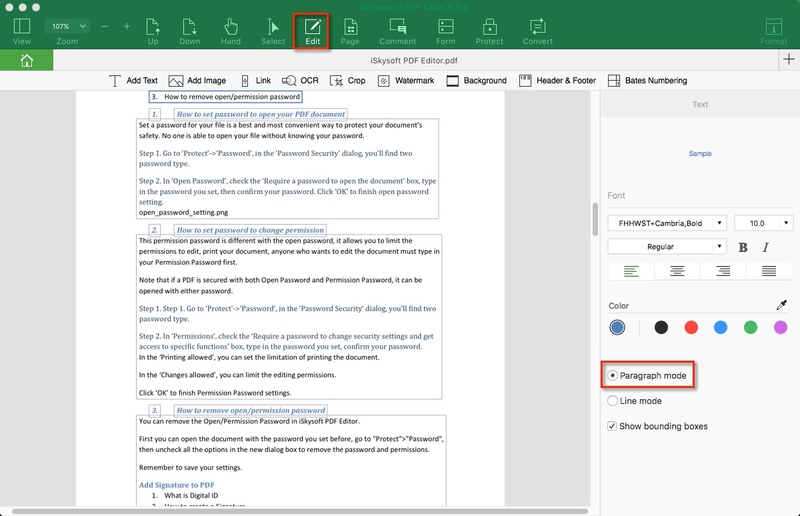 Not only can you choose shapes from a vast library, but also all paths of each shape can be modified visually by anchor tools. By that, you can create unique shapes as you needs freely. 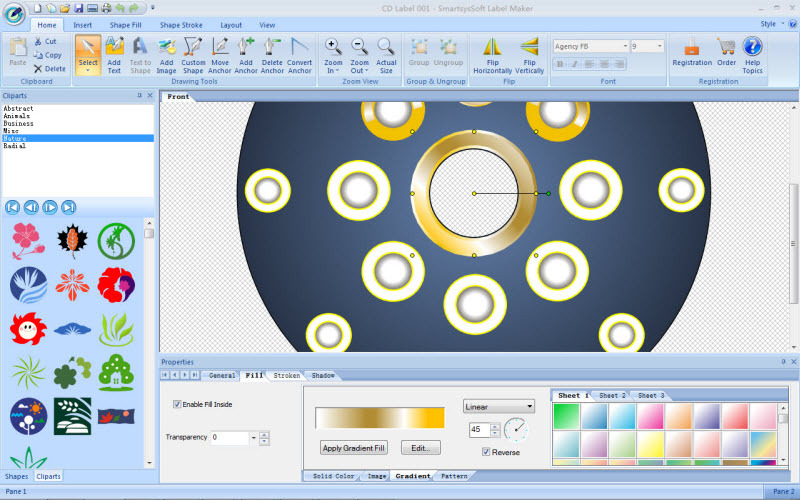 Many drawing elements such as symbols, shapes, texts, images, photos, lines and curves can be added to your design and each one painted very smoothly and faster. Besides that, SmartsysSoft Business Card maker supports vector objects(Texts, shapes, symbols, lines etc…) can be filled and stroked with solid color, gradient colors, Images, patterns etc…Move mouse button you can create, move, resize or rotate each drawing element visually and freely. Undo redo anytime anywhere as you needs. 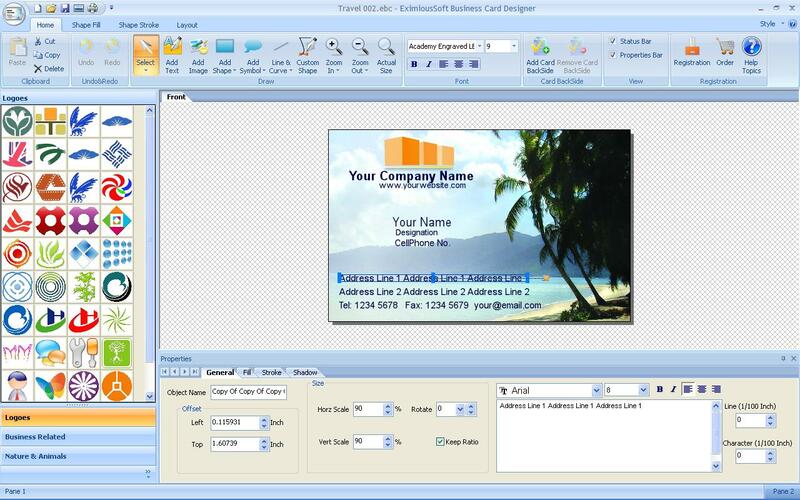 EximiousSoft Business Card Designer is powerful but easy software for creating professional looking business cards. With which, you can design your own cards as you want. Select from pre-designed business card templates and customize with your texts and symbols to build attractive cards. That happens so easily and quickly! EximiousSoft Business Card Designer is also professional quality printing software. It supports to export cards to image files with high quality which are printed for print shop. Also it enables to print spectacular business cards on your own printer, on card stocks from Avery, Sigel, Herma, Formtec, DECAdry etc… EximiousSoft Business Card Designer provides more than hundreds of background images, logos, shapes, symbols, gradient styles. Which make your art work is so simple. Besides that, you can add your own drawing elements such as shadows, texts, lines, curves and your own photos for your design. EximiousSoft Business Card Designer works like a great image editor program that supports strongly layer-editing. Each layer object is allowed to contain an alpha channel. Any vector object such as shape, symbol, text, line, and curve can be filled and stroked with solid color, image, pattern and gradient colors high smoothly with different transparency value. To create, move, resize or rotate layers/Objects only with dragging or clicking mouse button and undo or redo anytime anywhere. EximiousSoft Business Card Designer enable you create your own shapes with Custom Shape Tool, gives the option to customize the width and height of business card to suit your requirements. 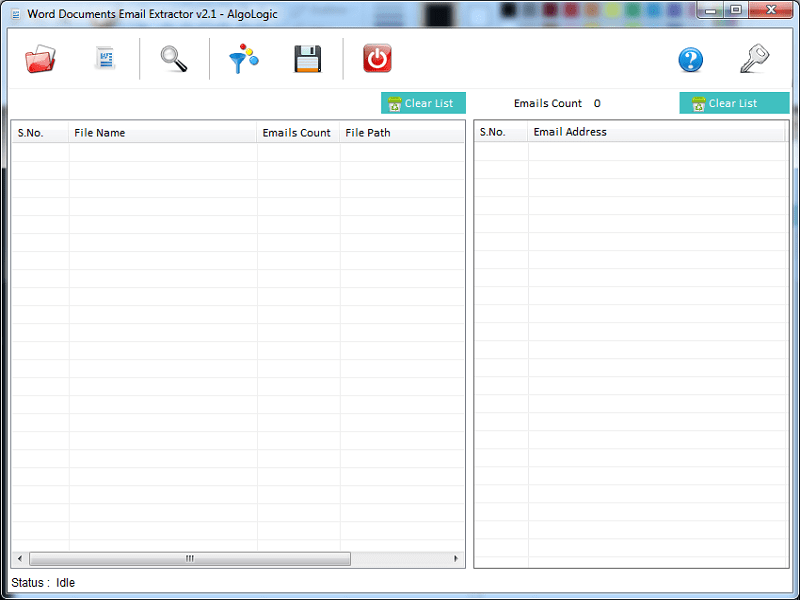 SmartsysSoft Label Maker lets you design Address labels, CD/DVD labels, Folder labels, Media Labels, Post cards, Shipping labels, and even Envelopes. It comes with a lot of pre-designed label templates, pictures, shapes, symbols. You can choose them from a vast library and then custom with your own logo, images and clip art to create your attractive labels. SmartsysSoft Label Maker also a great vector graphics program. Some drawing elements such as texts, clip art, shapes, symbols, images can be added to your design as you needs. Each one is painted very smoothly. So that, you can get professional-looking labels with very high quality when designs are translated to printing. All vector objects can be filled or stroked with solid color, gradient colors, images or patterns. More than hundreds of dash styles are supported to be used for stroking shapes. Besides that, SmartsysSoft Label Maker provides very powerful shapes tools to edit path of vector objects. With which, you can create the most unique shapes, symbols or texts if you desires. SmartsysSoft Label Maker is also professional quality printing software. It supports to print your labels on any Windows compatible printers directly. Also it is allowed to save your design as a high quality image with BMP, JPEG, GIF, PNG, TIFF format for outside quality printing. AnyBook Professional Level 6 is a full-featured business program for small and medium sized publishers, it has all of the features of Levels 1 through 5 plus more. Those features include the ability to generate invoices and billing statements, keep track of inventory, handle returns, produce sales reports, record customer payments, track consignment items, calculate shipping weights, process back orders, process multi-packages. 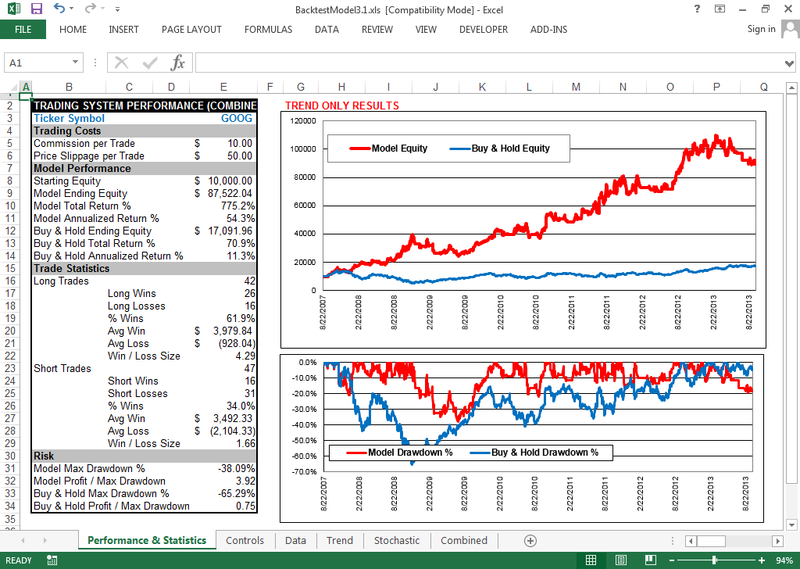 Shopping cart data can be moved in and out of the program. The program comes with Real Time inventory processing. The program is fully barcode compatible and is able to read and print barcodes. It has a comprehensive purchase order system and one of the finest royalty accounting systems available. When you register, below, type in your company name exactly how you wish it to appear on invoices, billings and other documents produced by the software. With AnyPO Professional II you can put together purchase orders or requisitions in a snap. It has all of the features of the Level I program plus more. You can track what products have been received and what products remain on back order. You can keep lists of your vendors and commonly ordered items. One of its most innovative features is a Look-up feature which displays past ordered items and allows you to compare prices and review past orders all on one screen. The AnyPO II program handles the most complex tax situations, including U.S., Canadian and European taxes. When you register, below, type in your company name exactly how you wish it to appear on invoices, billings and other documents produced by the software. The registration code that you’ll receive will be keyed to your company name.